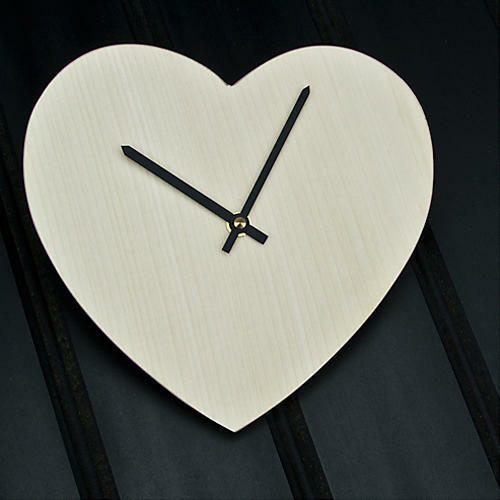 Our Sycamore 9 inch round clock pyrography blank kit has been a consistent best seller for most of the 23 years we have been manufacturing Sycamore and birch plywood Blanks for pyrography. They are made from Top quality fault free Kiln dried English Sycamore selected for its lightness of colour and it's close grain making it the perfect wood for burning. Each blank is individually made and turned on a wood lathe so that it is a perfect circle to which a molded edge is then added and a final sanding finishes them off. The 10mm hole is suitable for most clock movements and we recommend our Keinzle German quality movement for reliability and accuracy. 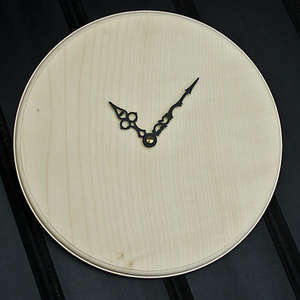 All of our clock hands except the mantle hands are suitable for this 9 inch round clock blank.